Living a healthy lifestyle can be a struggle in today's world. Most American's live a sedentary lifestyle, with all of the convenient fast foods and effortless ways to commute it's so easy to gain unwanted weight. Did you know that learning more about your DNA can help you figure out what exercise and diet can help you reach a healthy body composition? I've heard of people testing their DNA to figure out their ancestry but never thought about testing it to figure out what form of diet & exercise works best for me! The HomeDNA Healthy Weight Test is a scientifically-based weight-management test that identifies a person's genetic makeup and provides diet and exercise strategies uniquely tailored to their specific genotype. In just 4-6 weeks after samples arrive at the lab, you can receive a comprehensive report with personalized nutrition and fitness recommendations that work best for your body. I have been working on my fitness ever since I gained a bunch of unwanted fat from postpartum depression after Zaden was born. I embarked on this journey a little over 4 years ago and I would be lying if I said it's been an easy road. 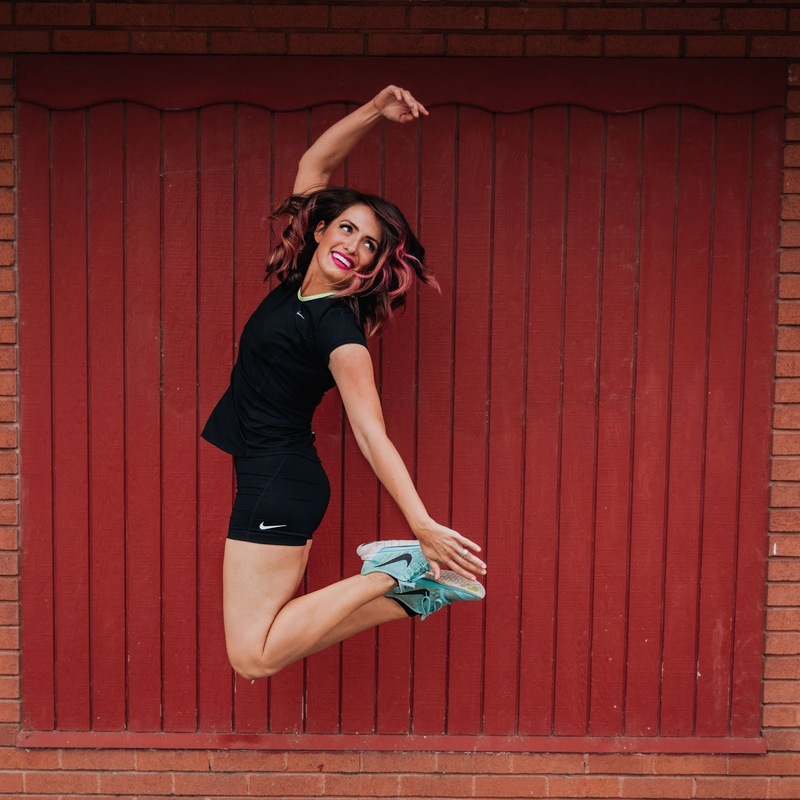 There has been lots of trial and error, a few fad diets, another pregnancy in the middle, and going back to unhealthy eating habits along the way. If I would have known about the HomeDNA Healthy Weight Test and known what sort of exercise & diet plan worked best for my genetic makeup it would have saved me a lot of trial and error trying different things! Ultimately, when it comes to losing weight nearly any diet or form of exercise will work if you stick to it. It all comes down to a matter of calories in versus calories out. If you want to eat your TDEE in candy or chips and stick to eating at a deficit you can and will lose weight. However, the way our bodies are designed certain diets and forms of exercise can help us achiever a healthier body composition much faster. Also eating a well balanced diet makes feels good and provides more energy. 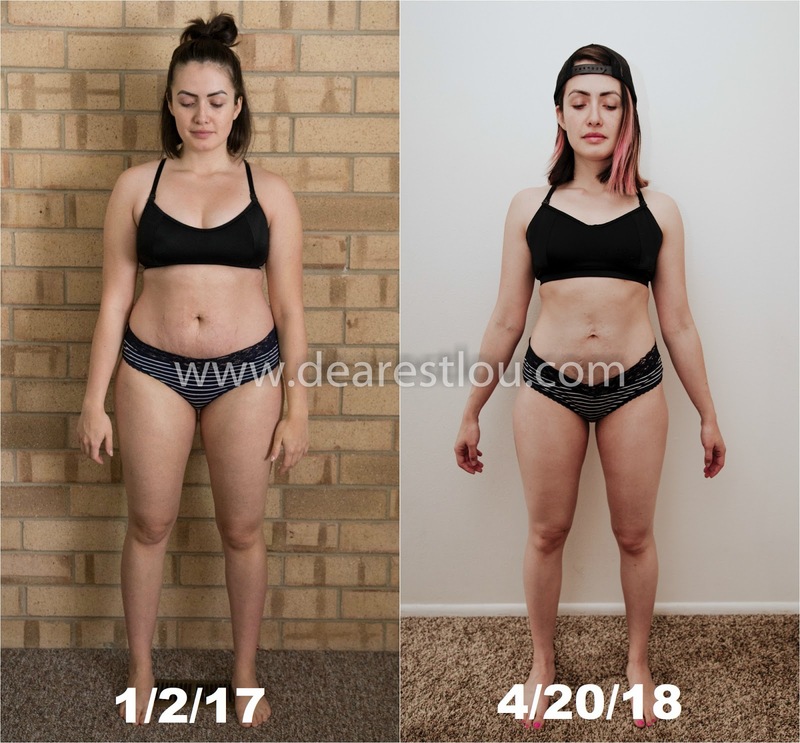 Here are my most recent progress photos. I took the "after" photo shortly after receiving my results from my HomeDNA Healthy Weight Test. You can read previous Fitness/Health related blog posts here. Taking the test was convenient and simple! The instructions were easy to follow and came with a prepaid postage stamp which made it easy to send to the lab. All it took was a couple cheek swabs (no needles or urine samples) and creating a profile on their site. I had my results within 4 weeks and was excited to find out about my makeup! I was blown away with the report, I did not expect to receive such a comprehensive report and was excited to read more about my DNA. The report provides results in four key areas: Weight Loss Ability, Food, Nutrients, and Response to Exercise. 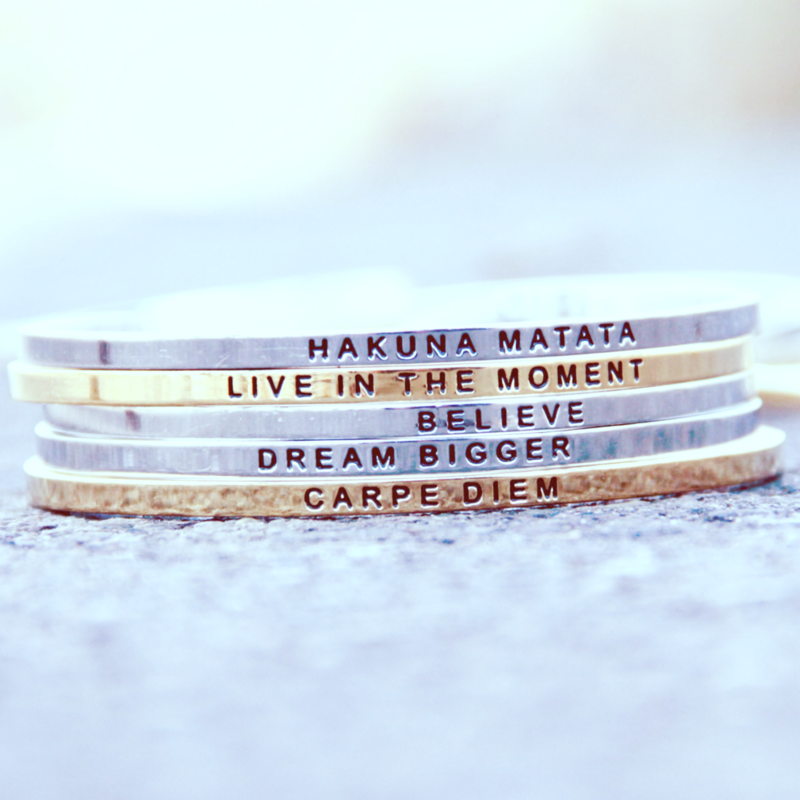 I want to touch a little on each of these and how I have applied them into my new fitness routine the last 6 weeks! I figured my weight loss ability would be below average since I have to work SO HARD on my diet and exercise in order to lose fat. I know that it isn't impossible to lose weight it just takes a little longer to lose than someone with a more favorable genotype! As far as implementing this information into my life nothing really changed. I have since continued to workout and eat healthier (more on that under food). Prior to taking this test I was following a Keto diet. 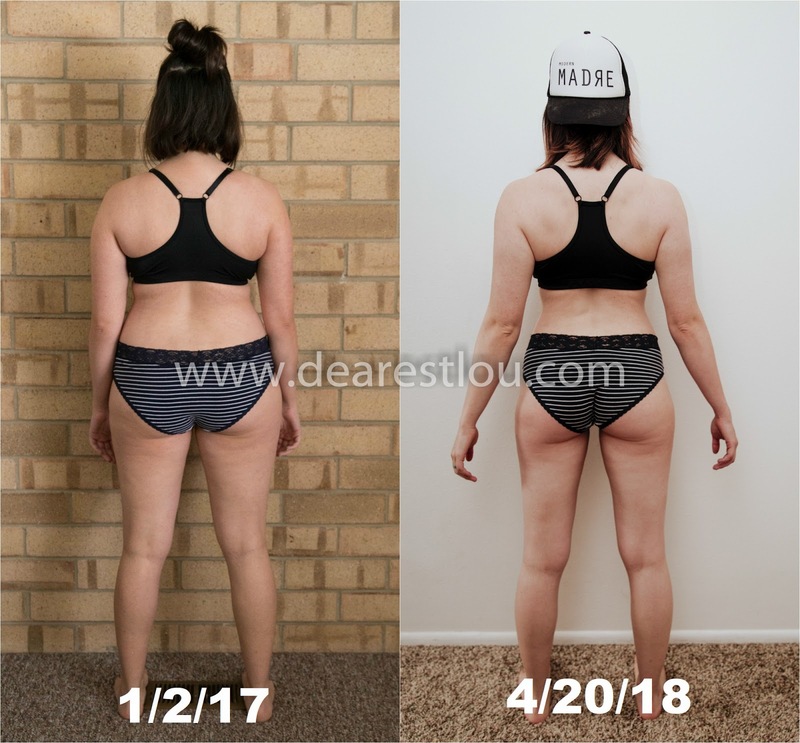 I did Keto from mid-November 2017-February 2018. 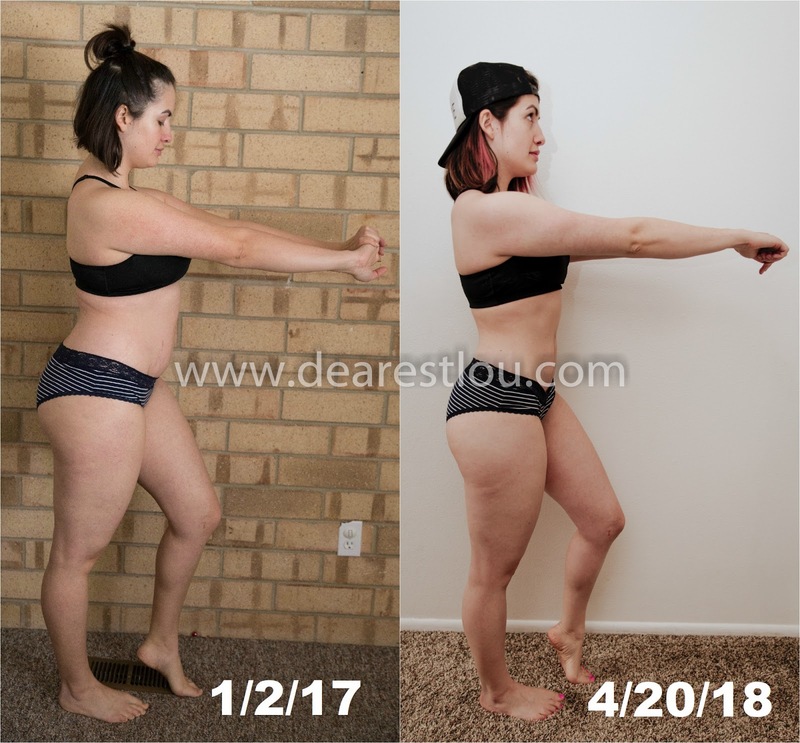 March was on and off but primarily low carb, my only goal was to continue working out and eating at a deficit. There's a misconception with Keto that you will gain weight back once you are off it, it's true that you will gain a bit of water weight since your body replenishes the water and glycogen in your muscles and liver but as long as you continue to eat at a deficit, your fat loss won't change. When I got my results back I was shocked to find out that a higher complex carb diet works best for my body type in order to lose weight! Like I said earlier in this post eating at a deficit and sticking to any diet will work but I was honestly a bit excited to find out that higher complex carbs work for me. For the past 6 weeks I have been sticking to a diet higher in complex carbs and have broken a weight and fat loss plateau that I haven't seen since prior to getting pregnant in 2012. I haven't stuck to a super strict diet and have had a few "cheat" meals along the way too. Micronutrients have not been shown to have a direct effect on body weight/fat but play important roles in a variety of functions in the body that may affect your body composition. I scored low and below average on most of the micronutrients tested, yikes! It makes sense that my micronutrients were low since I was doing Keto at the time and eating very little vegetables and no fruit. I also wasn't taking the recommended supplements I should have been taking when following the diet. Since I am now eating more fruits and vegetables I'm hoping my body is closer to a normal. I also loved how the test told me which foods to try to incorporate into my diet in order to get these nutrients. Any exercise can enhance weight loss from dieting. When a person loses weight by only dieting, they are likely to lose muscle mass along the way. This portion of the test was very lengthy and I could write pages but I will save you guys all the details and try to summarize it! The best form of exercise for me is strength training but in order to achieve a healthy body composition I must incorporate cardio as well. I like that the test put together a workout and sample diet plan for me, I think this info is very useful for someone who is new to fitness and doesn't know where to start. However, I have applied the principles I learned into what I'm already doing and eat more calories than my suggested meal plan recommended since I am very active. 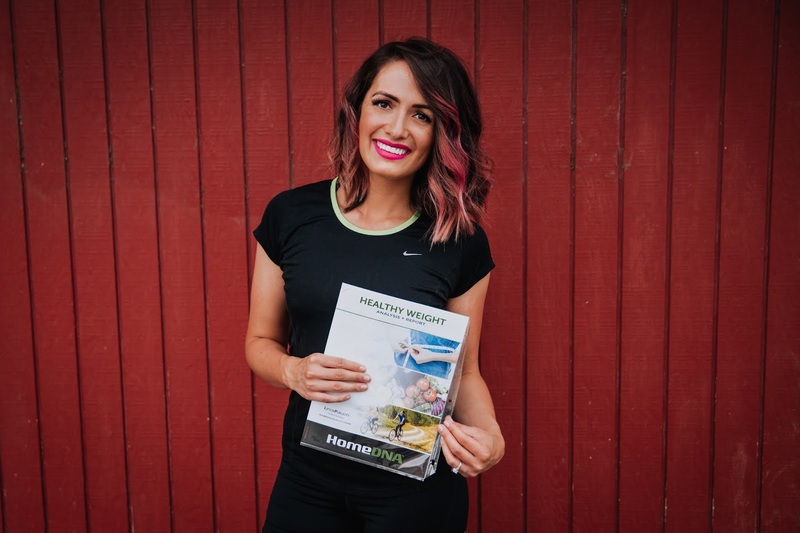 Interested in purchasing a HomeDNA Healthy Weight kit? They are available at CVS and Rite Aid drugstores or online for $119 at HomeDNA.com.